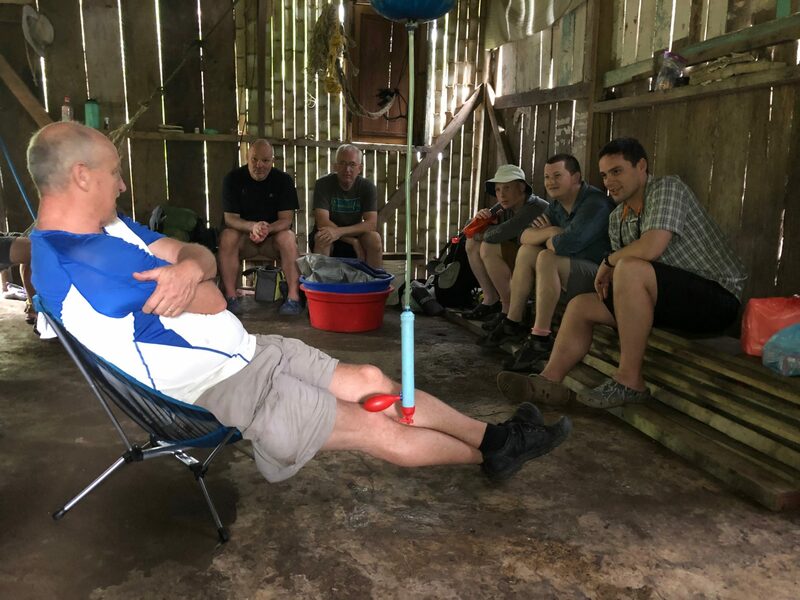 Buck Run’s 6 member team has returned home from Jaque, Panama where they helped IMB Missionaries and Buck Run members, Kenny and Cheryl Morris in discipling and training the locals to reach indigenous Panamanians and Colombians with the Gospel. They were anticipating a construction emphasis for the trip but had to adjust their plans when they were unable to make trips up river to collect wood for the construction project. That being said, the trip was not a loss on the team as they were still able to serve and share Jesus where God positioned them. The team found ways to serve the believers in Jaque by focusing on smaller construction projects during the day. One project was preparing the prospective training site where Kenny and Cheryl are hoping to build a facility in which Jaque believers can stay as they are being equipped. Another project was at the home of a believer where the team rebuilt parts of their house, shower, and bathroom to ease their standard of living and make their living quarters more comfortable. At night, the team worked with locals in storying the Bible, basically communicating stories from the Bible so that the hearers could practice retelling the stories. The language barrier was a hindrance for them to work with the locals in this way, but the team was able to make the most of these difficult situations as they were reminded, “God doesn’t need us.” Kenny and Cheryl are fluent in the language and are entirely capable of training the locals for taking the Gospel to unreached people groups. This became quite clear to the team throughout the week.